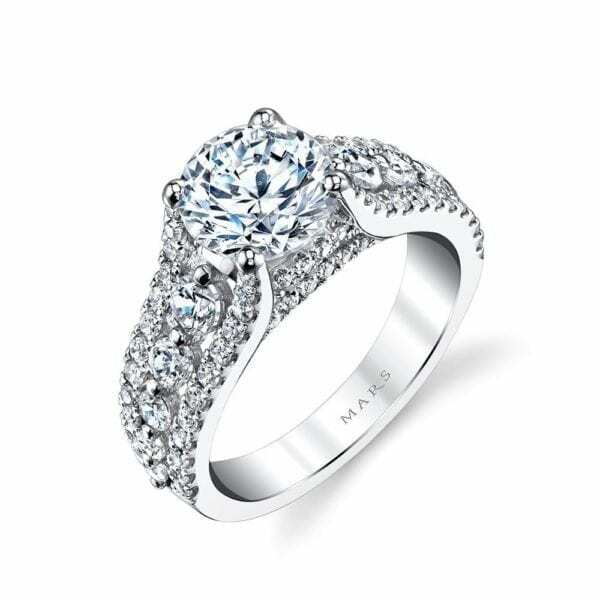 25734 Diamond Engagement Ring 1.02 Ctw. An opulent diamond engagement setting with dazzling, round brilliant accents stones. 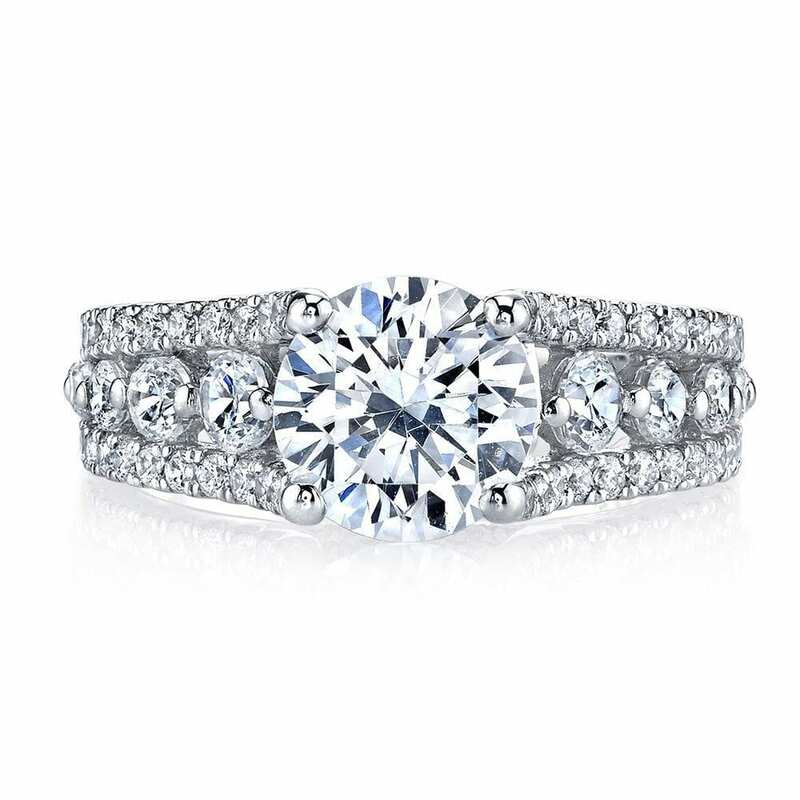 This ring features an: Embellished Diamond Triple Row; Peek-A-Boo Accent Stones. 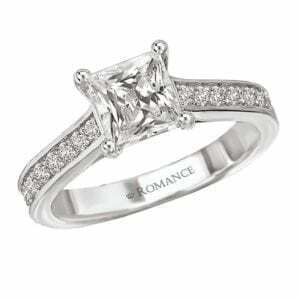 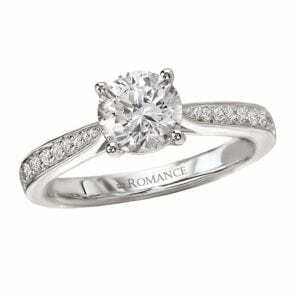 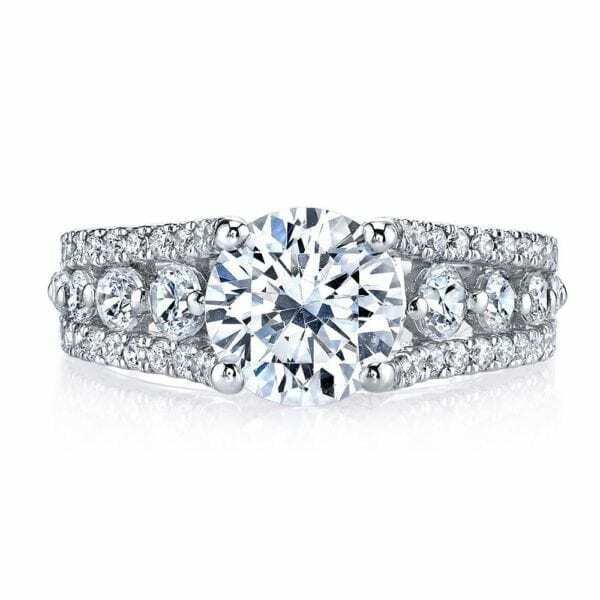 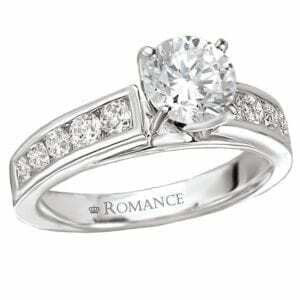 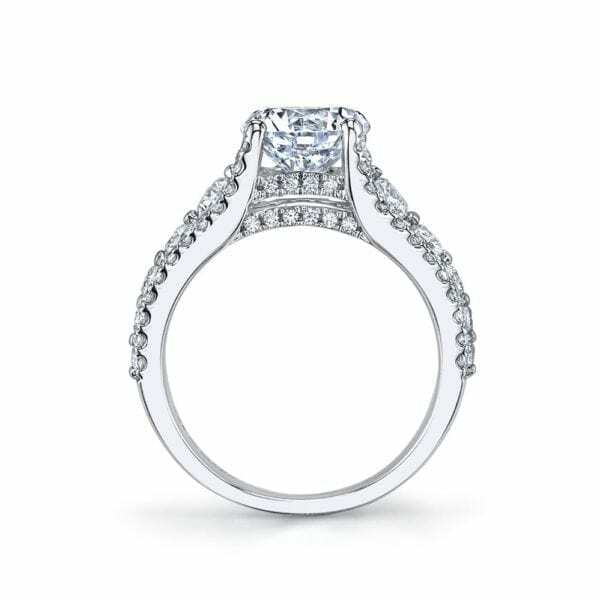 Shown in White Gold with Two Carat Round Brilliant Cut Center; Center excluded from Price. 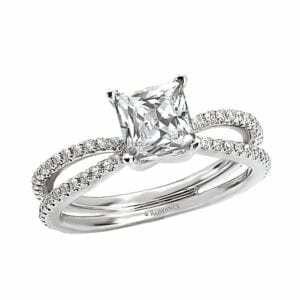 Side Stones: 1.02 Carat Total Weight.